Nothing pleases us more than when we get to share a piece of our world, but it’s pretty awesome when other folks want to share it, too. In the summer 2018 issue of Crush Texas Wine Guide, Michael Bazán took the time to highlight a few things about William Chris and our flagship white wine blend, Mary Ruth. William “Bill” Blackmon and Chris Brundrett share a passion for Texas wine that culminated in a partnership that began in 2008. Bill’s decades of wine growing experience combined with his agriculture and economics degree meshes perfectly with Chris’ horticulture degree to lay the foundation of knowledge that produces such amazing fruit. Bill has three decades of wine growing experience to add to the aforementioned academics. Chris, although younger, hit the ground running and the resulting quality of William Chris wines is proof of experience, passion, and vision. View the complete article by Michael Bazán in Crush Texas Wine Guide. 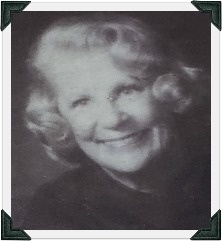 Most know that Mary Ruth was named after Bill’s mother. She was an artist and farmer herself. Since Bill and Chris feel that her spirit comes through in the wine blend we create year after year, Chris suggested that it bear her name. The rest is history. The blend consists of three Texas-grown varietals - Muscat Blanc, Blanc du Bois, and Malvasia Bianca. Below are some fast facts about each of these grapes. It is still grown there, but is most widely known for making Moscato d’Asti in Piedmont and Muscat de Beaumes de Venise from Southern Rhône. Muscat Giallo is the actual grape used in Mary Ruth, not Muscat Blanc. Our label says Muscat Blanc because the USTTB does not recognize the varietal Muscat Giallo. Blanc du Bois is a hybrid grape named after Emile DuBois, a winemaker in Florida, it was created by John A. Mortensen in 1968. Its popularity is partly due to its ability to make a variety of styles of wine and its resistance to Pierce’s disease. Although the grape originated in Florida, Texas currently leads the industry in production of Blanc du Bois. Malvasia Bianca also has roots in ancient Greece, but today it is found in many parts of the world. One popular use is to produce Malmsey, which is sweet fortified wine from Portuguese island of Madeira. It is one of the five white noble grapes and one of the four recognized styles of Madeira. Tasting notes: Honeysuckle, orange blossom, lime, and lemongrass tickle the nose. Stone fruit, pear, Granny Smith apple, and a hint of white pepper tease the palate as they lead into a bright finish.